Have you ever used a hot water bottle and kept thinking how you would like the feeling of warmth to last longer? 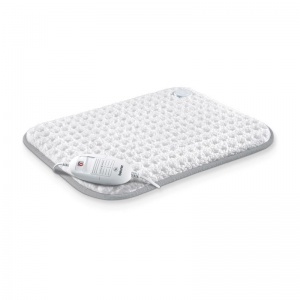 The Beurer HK42 Super Cosy Heat Pad is a great alternative to this classic way of warming up and getting cosy, as it will keep on heating at the exact temperature you like the most. Covered in skin-friendly, breathable fleece, this pad is soft enough to be used on any body part. The Super Cosy Heat Pad is made from breathable, cosy, skin-friendly microfleece that keeps you warm and comfortable, while not causing your skin to overheat or break out in sweat. Its super soft surface is gentle enough to be used on any part of the body. All the textiles used for this device meet the stringent human ecological requirements of Oeko-Tex Standard 100, as verified by Hohenstein Research Institute. If you're suffering from Raynaud's disease, then a hot water bottle is probably an old and familiar friend, and though it does get the job done, this is not the optimal way for keeping your feet and hands warm. 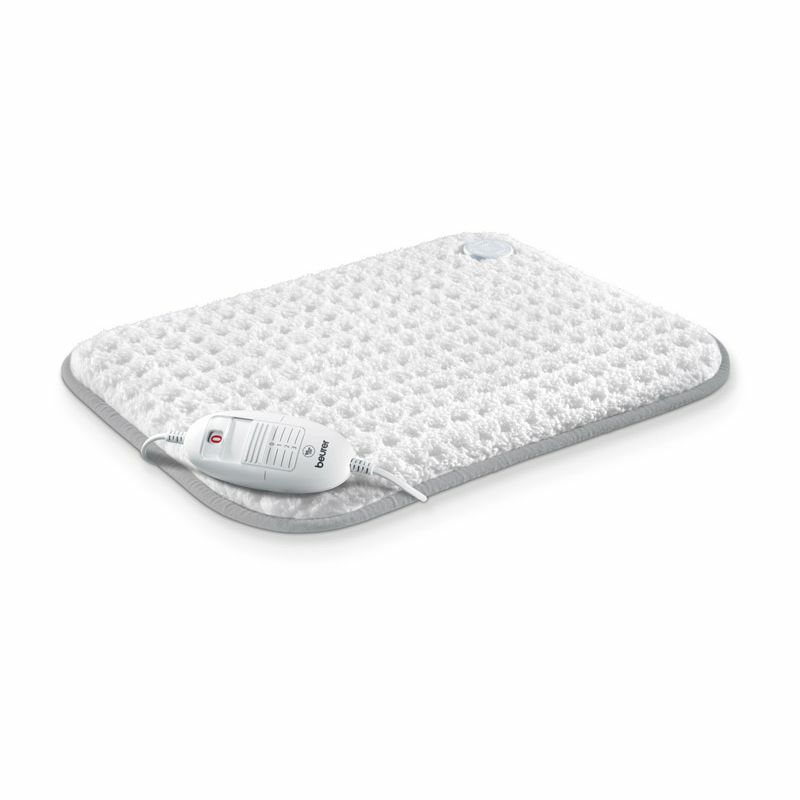 The Beurer HK42 Heat Pad comes with a rapid heat up function, remote temperature control and three temperature settings, which means you won't have to wait long to warm up and you'll be able to control the level of warmth you want to be enjoying. The pad comes with a convenient switch-off function that automatically turns the device off after 90 minutes of continuous use, which makes it excellent for anyone who might forget switching it off after every use. Not to mention you can even fall asleep while enjoying the cosy warmth of the Beurer Heat Pad without a worry on your mind. Please note that due to the heating element, this product should not be used by people with a pacemaker. We advise you to consult with a doctor if you are unsure of this product's suitability for you.